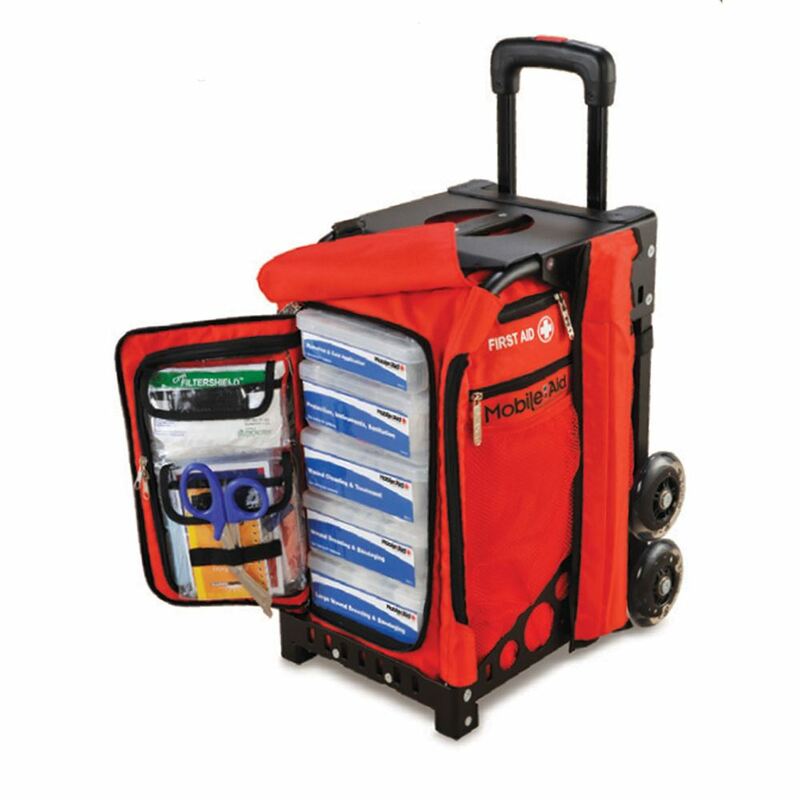 MobileAid® Trauma First Aid Station The perfect replacement for heavy trauma backpacks and wall-mounted first aid kits, this compact mobile station can be wheeled directly to any medical emergency. Supplies are organized in quick-response modules for fast and effective treatment. Dual-wheel design makes it easy to maneuver over curbs and up or down stairs. Integrated seat and gear platform allows patients to sit while being treated, or can be used to carry additional equipment. 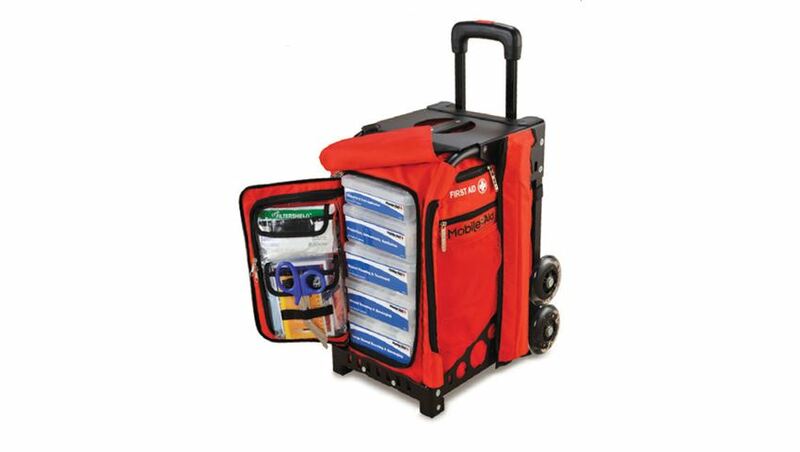 Durable, lightweight frame holds up to 300 pounds, while heavy-duty, weather-resistant bag keeps contents safe. An 8-foot extendable flag is included for easy visibility in any situation. Station is OSHA- and ANSI-compliant, and includes 260 pieces.